The 2017 federal budget: everything we know so far. 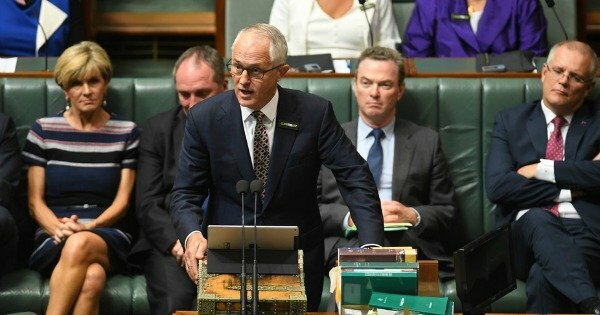 Budget 2017: What we know so far. By political reporter Henry Belot. The countdown is on to the budget’s release but the Federal Government has already revealed how key sectors such as education, infrastructure and housing are likely to fare. University funding: Student fees will increase by 7.5 per cent by 2021. That’s a price increase of up to $3,600 for a four-year course. Graduates will repay their loans earlier and universities will face a funding cut. School funding: Schools will get an extra $18.6 billion over ten years amid another review of the sector by businessman David Gonski. The contentious announcement will need to go through Parliament. Expect to see much of the Government’s $50 billion infrastructure program from last year’s budget brought forward. This will fast track roads, rail and other major infrastructure projects. Badgery’s Creek: The Coalition will bankroll the construction of the Western Sydney airport after Sydney Airport declined to take on the project. The total costs and the terms will be detailed in the budget. Inland freight rail: The Government has allocated more than $1 billion for the project that would link south-east Queensland with Adelaide and Perth. The total investment will be detailed in the budget. Coalition and Labor have already allocated almost $1.8 billion to inland rail, but today’s budget boost would help cover most of the estimated cost of $10.7 billion. The Government has repeatedly promised measures to address housing affordability. At this stage, it is unclear what the full package will involve but we understand it could include measures to help young people save a deposit for their first home. We already know the Government is proposing a bond aggregator model, which will allow community housing to be loaned money at a lower rate. It’s also likely foreign buyers will pay thousands of dollars in fees should they leave their investment properties empty. The Treasurer has also flagged measures to help prospective first-home owners. Expect the Turnbull government to ease the Medicare rebate freeze in a move that could cost more than $43 billion but end the political fight with GPs. Some cabinet ministers believe that will ensure the so-called “Mediscare” campaign cannot be repeated. The Coalition is hoping to bank around $1.8 million in savings over five years by encouraging doctors to prescribe more generic drugs and other measures agreed with Medicines Australia. Human Services Minister Alan Tudge has flagged new measures to ensure welfare recipients are looking for work and meeting their so-called “mutual obligations”. This would include ensuring they meet with employment groups while receiving benefits. The Government is eager to roll-out a trial program restricting Centrelink recipients from purchasing liquor, gambling or withdrawing cash. Additional funding may be detailed in the budget. The Government has already dumped a so-called zombie measure by restoring $55 million to community legal centres over three years. The Coalition has been under pressure to increase funding to the Family Court, which has struggled with lengthy delays, although the Government has not yet flagged any budget measures. Petroleum Resource Rent Tax: Oil and gas companies could lose some of their generous tax deductions following a review of the tax. Company tax: The first tranche of the 10-year plan was passed in April giving businesses with a turnover of up to $50 million a tax cut. The Coalition wants to extend this to all businesses. Multinational tax: We’re likely to see the figures on the so-called “Google tax”, which was passed in April and could recoup $2 billion in revenue. The Government will ban gambling advertising before 8:30pm during live sporting events, and for five minutes before and after the start of play. The $130-million annual licence fee for broadcasters will be scrapped in favour of a $40-million spectrum fee. The Federal Government is promising to allocate $350 million in the federal budget to help prevent suicide among war veterans. The Australian Federal Police (AFP) will receive an additional $321.4 million to fund an expansion of the force. Up to 300 personnel are expected to be hired, including negotiators, tactical response officers, bomb squad technicians and forensic specialists. The Government will create a $100-million fund for manufacturers to diversify and expand their businesses as automotive producers leave Australia. Of the funding, $47.5 million will be allocated to an advanced manufacturing growth fund, about $24 million to an advanced research projects to help companies develop new products, $10 million will go to innovation labs in Victoria and South Australia, and $5 million will go towards maintaining engineering expertise by investing in student research. University deregulation: The Government has dropped plans to cut funding to the sector by 20 per cent while allowing universities to dramatically increase course fees. Superannuation for property: Accessing retirement savings for a deposit was floated earlier this year. The Treasurer was in favour of the idea but it was shot down by the Prime Minister and senior colleagues. Negative gearing: Labor wants the tax concession abolished for new properties but the Coalition is determined to leave it unchanged. These lines of opposition are entrenched so don’t expect change in a hurry. GST reform: The political fight over this has proved too dangerous in recent years with states calling for increases to funding and an overhaul of tax distribution.